This TA Technix sport suspension kit is for the Honda Civic / CRX type EG2,3,4,5,6,8,9 / EH6,9 / EJ1,2,6,8,9 / EK1,3,4. This TA Technix sport suspension kit is for the Honda Civic / CRX type ED2 / ED4 / ED6 / ED7 / ED9 / EC8 / EC9. This TA Technix sport suspension kit is for the Honda Civic / CRX type EE8. This TA Technix sport suspension kit is for the Honda Civic type MC2. This TA Technix sport suspension kit is for the Honda Civic type EM2 from 2001-2005. 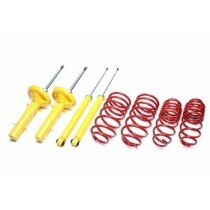 This TA Technix sport suspension kit is for the Honda Civic type EP1, EP2, EP3 from 2001-2005. 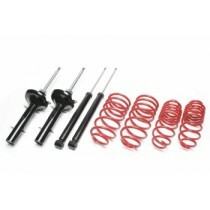 This TA Technix sport suspension kit is for the Honda Civic type EU5 / EU6 / EU7 / EU8. This TA Technix sport suspension kit is for the Honda Civic type EP4 from 2002-2005. This TA Technix sport suspension kit is for the Honda Civic type EU9. This TA Technix sport suspension kit is for the Honda Civic type MB6. This TA Technix sport suspension kit is for the Honda Civic type MB8 / MB9 / MC1.